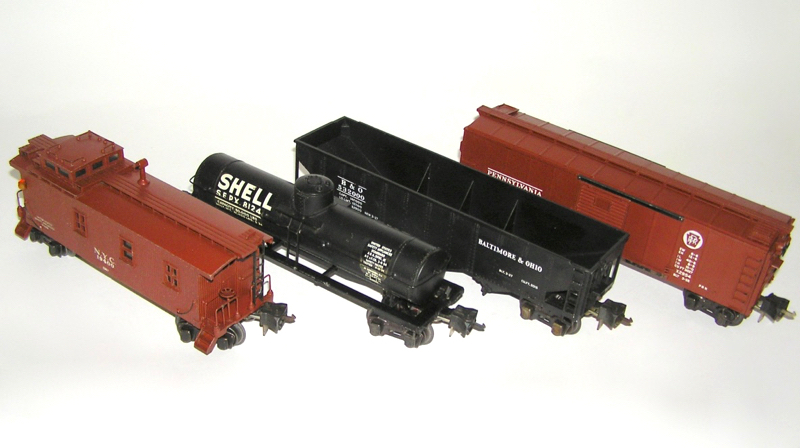 Lionel Set Of (4) Semi-Scale Freights 2956 2954 2955 2957 Nice! 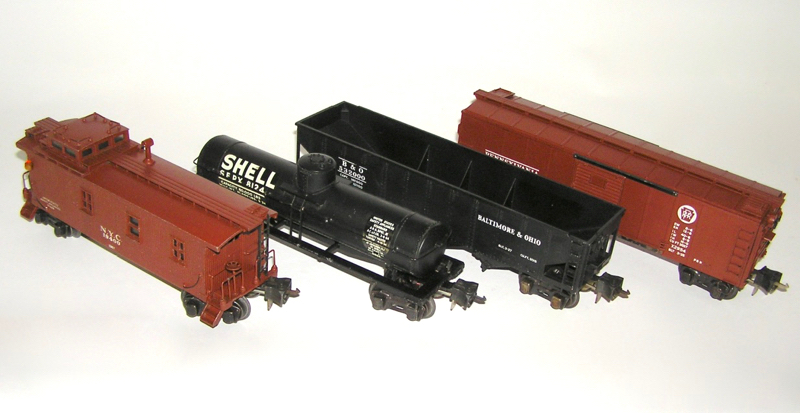 Here is a wonderful Lionel prewar semi-scale set of Freight Cars from 1940-41. This features the No. 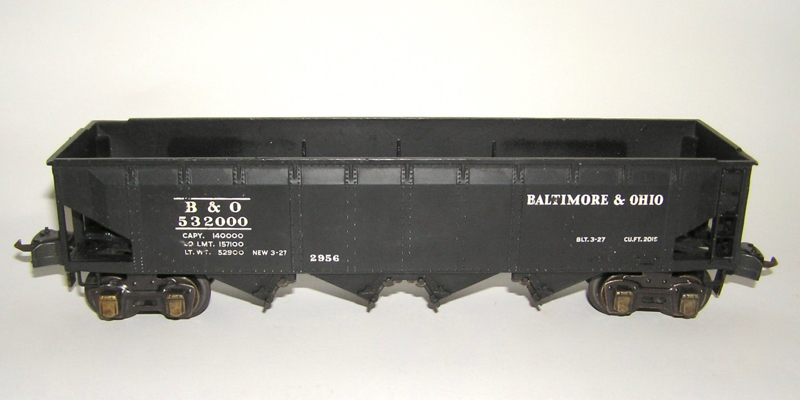 2956 B&O Hopper, the No. 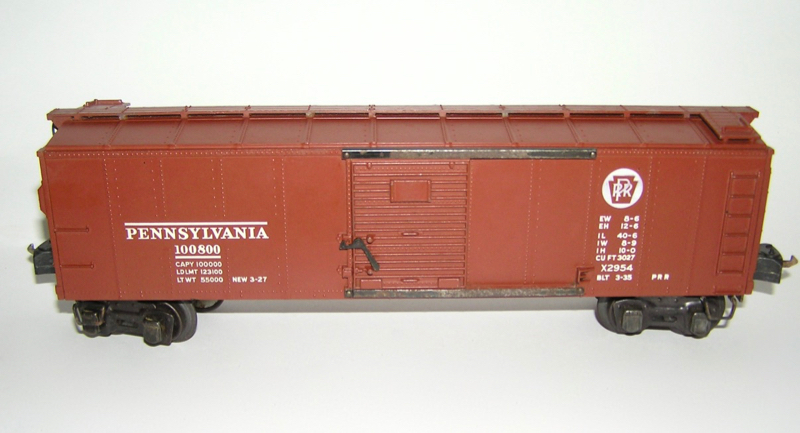 2954 PRR Boxcar, the No. 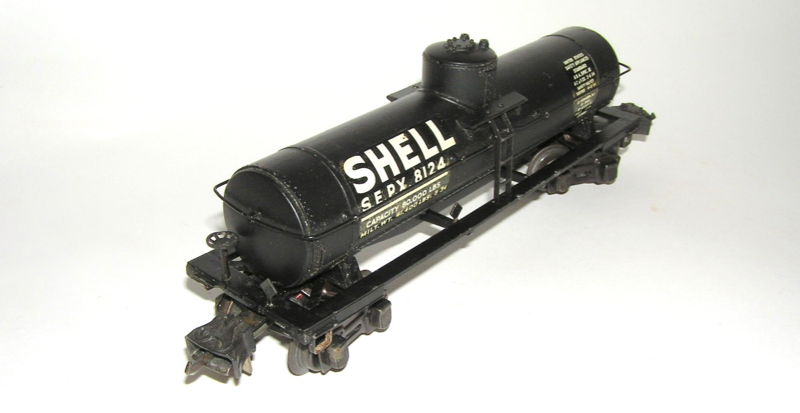 2955 Shell Tank Car, and the No. 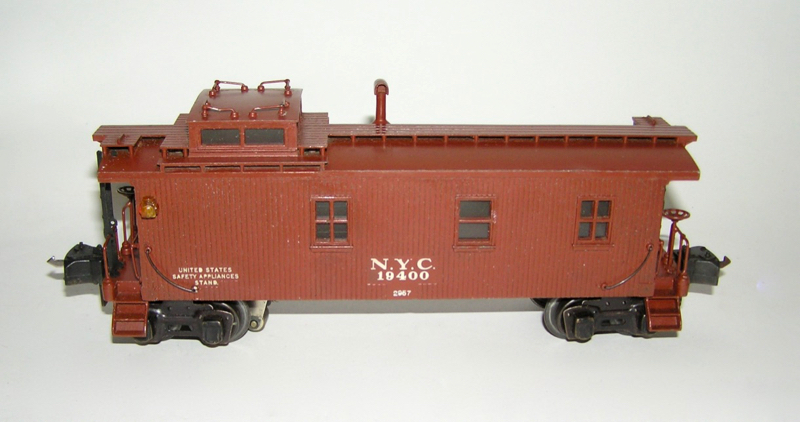 2957 Caboose. What a great set. 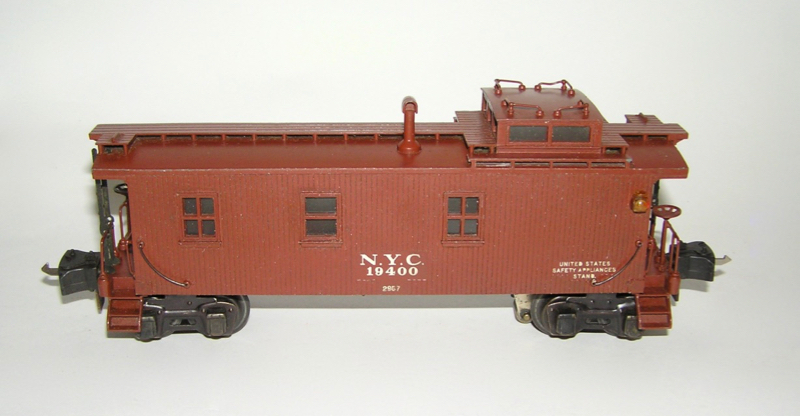 Overall, the set is in excellent condition - as seen in many pictures. 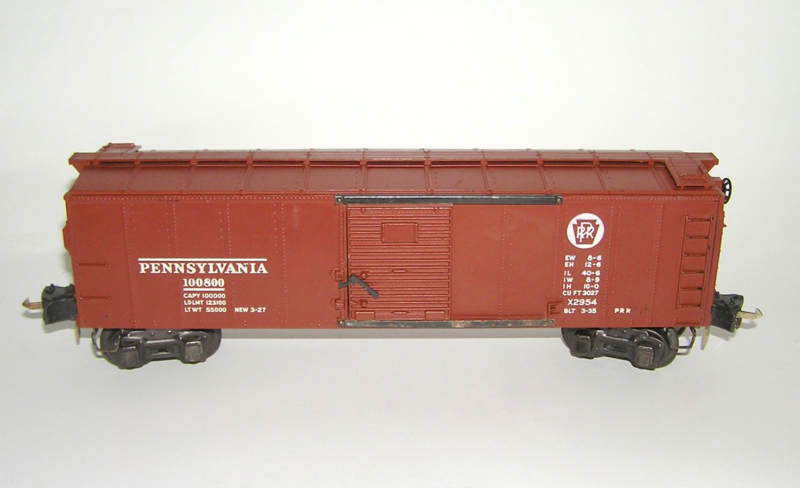 The 2954 Boxcar has a some wear to the door guides as pictured. 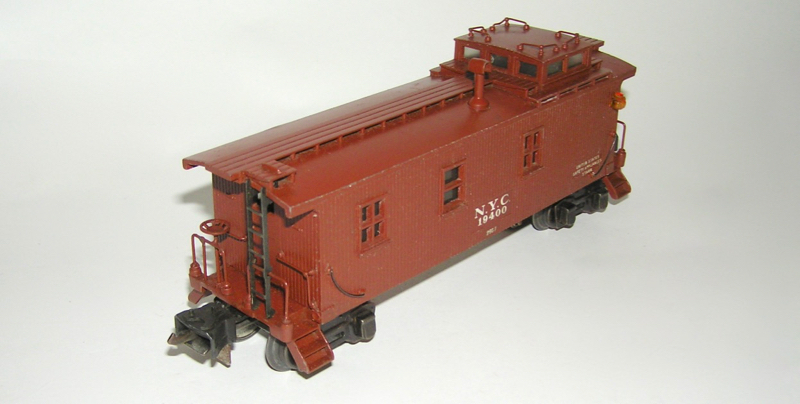 The 2956 Hopper is beautiful. All doors intact. The 2957 is also in excellent condition. Just some minor wear as you can see in the pictures. Overall, this is a nice set, and one that you will be proud to own. Don't miss. Thanks.